There are different shapes, colors, and sizes of molds at home. This unwanted fungus is one of the most common problems among households. But what type of mold is there in your house? It’s important to identify molds in order to create the best plan to eliminate them for good. So whether you are looking at a white, black, orange, or green mold, take action today to remove this threat from your lovely home. This is an allergenic mold that grows in air-conditioning systems and foods. This is typically green or black, pepper-like substance that spreads on fiberglass air-ducts, painted surfaces, and toilets. It may not be toxic to humans, but this type of mold can cause allergies like rashes, sore throat, and red watery eyes. This is usually found outside your home. It thrives on moist woods and decaying plants. Orange molds appear slimy, but they are harmless. You can get rid of them for aesthetic purposes. Technically, this is not a mold type. However, it is an early sign of mold growth that you should immediately remove. Untreated mold at home will only lead to more serious problems. So as early as now, do something to get rid of them. Indoor fungi are categorized into three hazard classes according to their health risks. These classes can be compared to the risk groups in microorganisms managed inside laboratory environments. Hazard Class A. This class includes molds and their metabolic by-products which are extremely hazardous to human health. These metabolites should immediately be removed from households to prevent serious health problems. Hazard Class B. The class B molds are those fungi that can lead to allergies once inhaled or contacted by family members. Hazard Class C. In this class are fungi that are not really dangerous to health. However, spread of these molds can result to economic damage. So they should also be eliminated once you see them in your building or home. Treat mold today and save your family from potential health hazards. Professional mold remediation companies like Action 1 Restoration can help you resolve the problem right away. We identify molds through lab testing in order to make sure we provide accurate reports. Our experts have already worked with various types of molds and have managed even the worst mold situations. What sets us apart from our competitors is that we use independent testing companies when collecting samples. Then we send them for analysis and identification of spore and contamination levels. Also, through pre- and post-remediation test results, we are able to identify the scope of the project to be done as well as its success rate. Usually, lab results take two to three days to complete the process. If you suspect molds in your wall, bathroom, or anywhere in your house, immediately contact us. We will come over to your house to confirm if they are molds that can pose a serious threat your family’s health. We’ll be glad to help you eliminate any unwanted molds in your place. By working with an experienced remediation company, you are guaranteed to get professional service and long-term results. Understand that you cannot simply clean up the molds by yourself. They require proper treatment to permanently get rid of them. So don’t even think about removing them on your own. 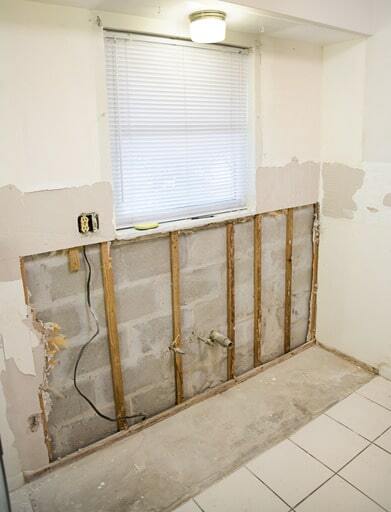 -Consult a reputable mold remediation company prior to your DIY mold treatment. We can provide you with free consultation to ensure you’re on the right track. -Make sure to use an N-95 mask respirator when going near the mold-infested area. Molds are microscopic organisms that grow both indoors and outdoors. Mold colonies may also thrive in wet buildings, while mold spores can commonly grow inside your home. If you leave them untreated, they can pose a huge threat to your health. Highly humid environments are likely to get molds - like the aspergillus fumigatus, stachybotrys chartarum, chaetomium globosum, and ulocladium chartarum - since they require plenty of water. On the other hand, dry environments are dominated by molds that need less moisture in order to grow like the aspergillus versicolor, wallemia sebi, and Eurotium spp. Action 1 Restoration offers specialized and comprehensive lab testing service to help you identify mold types in your home. Please don’t hesitate to contact us if you need help with your household molds.